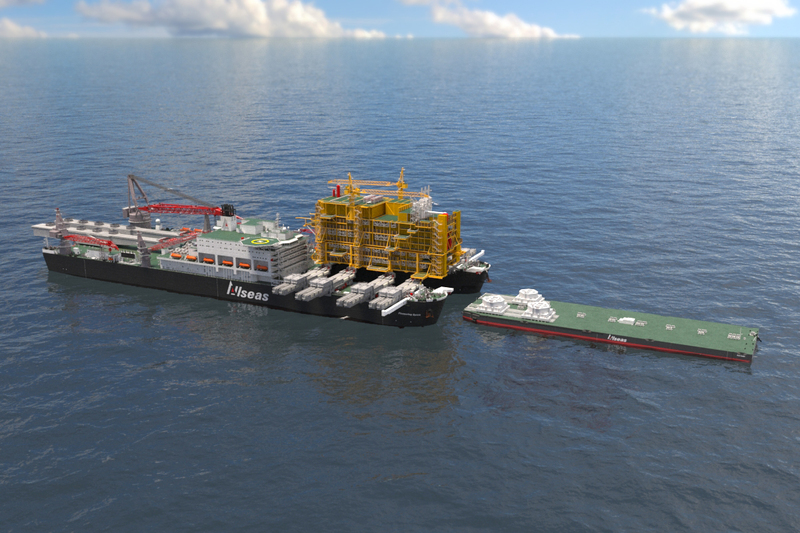 Offshore installation varies with the type of development involved. 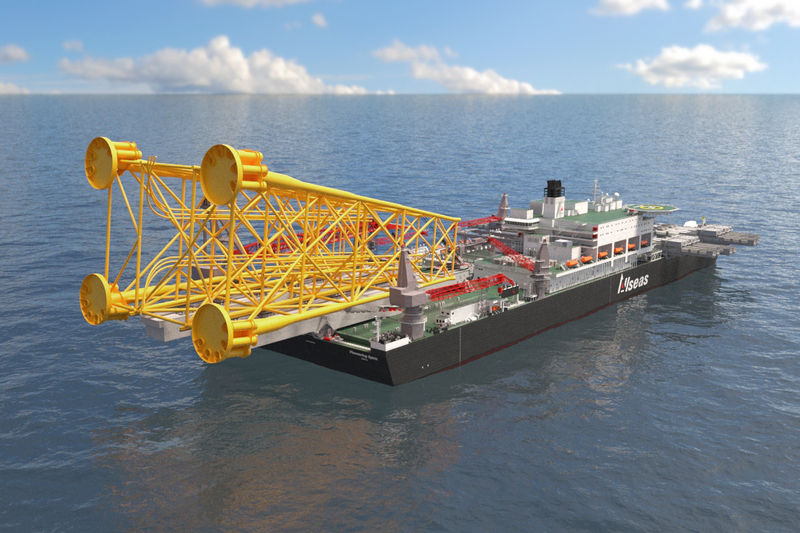 Fixed platforms have the most work involved; jackets and topside decks need to be transported to the well location. 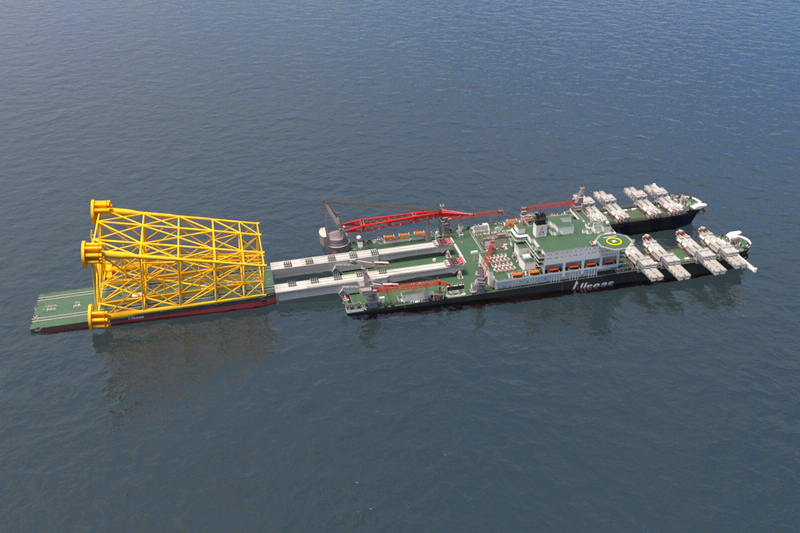 Once the jacket is in its final position and piled, the deck is lifted into position and welded to the jacket. 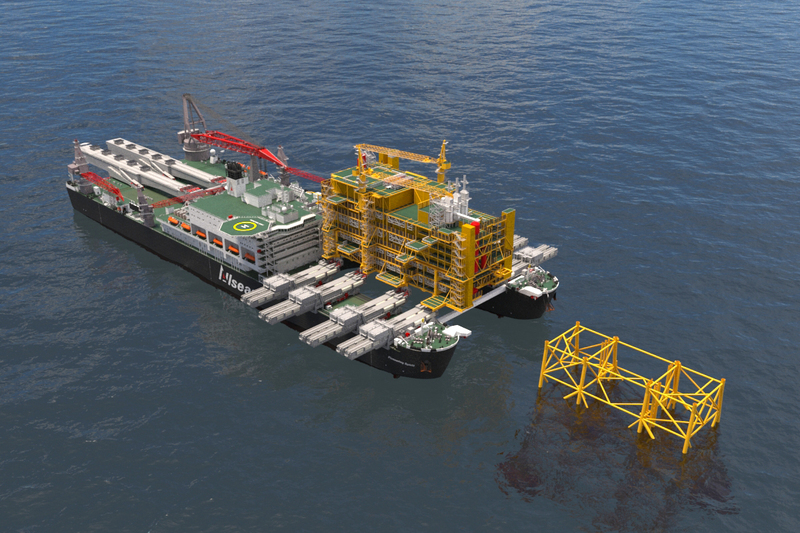 Following the installation, the hook-up is completed to services and production lines on the jacket. 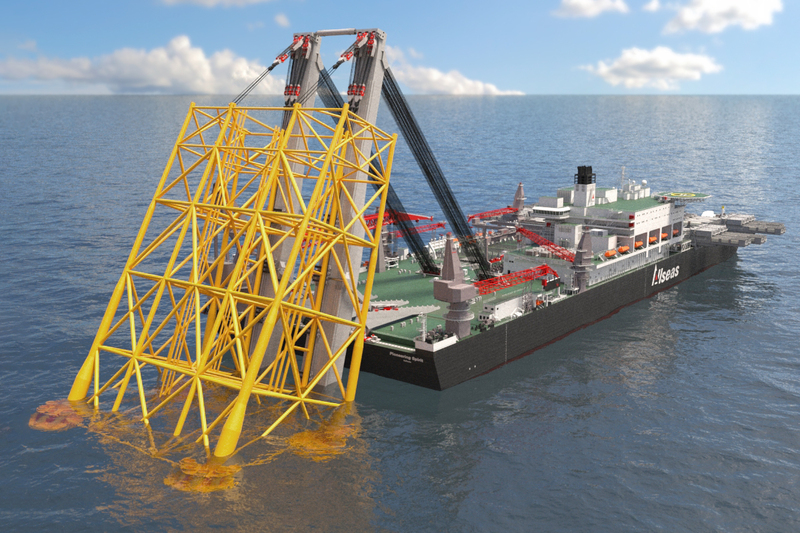 Any additional modules are lifted into position, fixed and hooked-up to the deck unit, before the platform is commissioned. 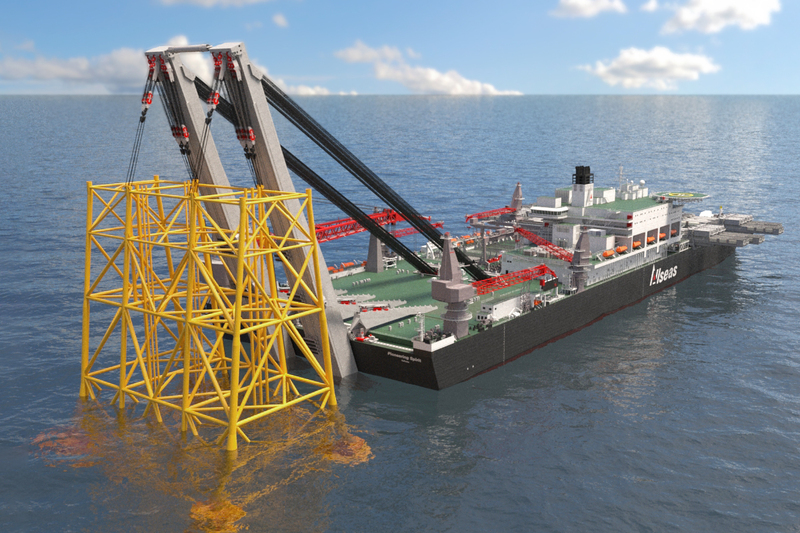 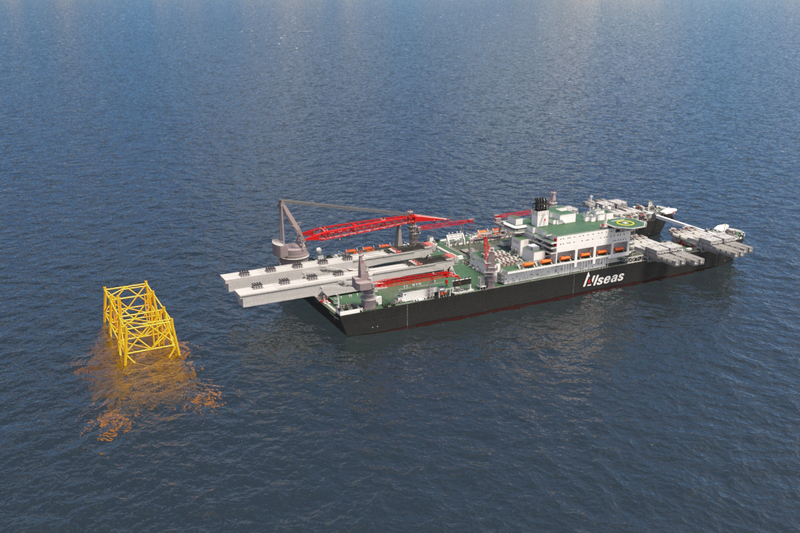 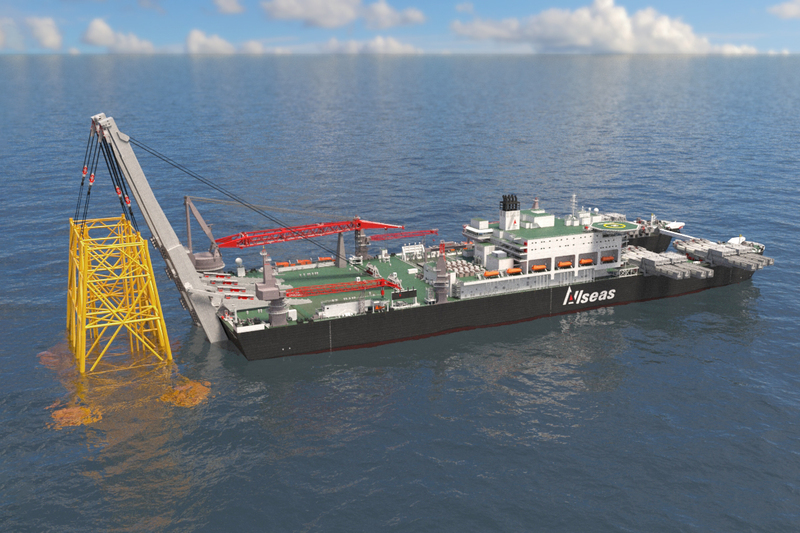 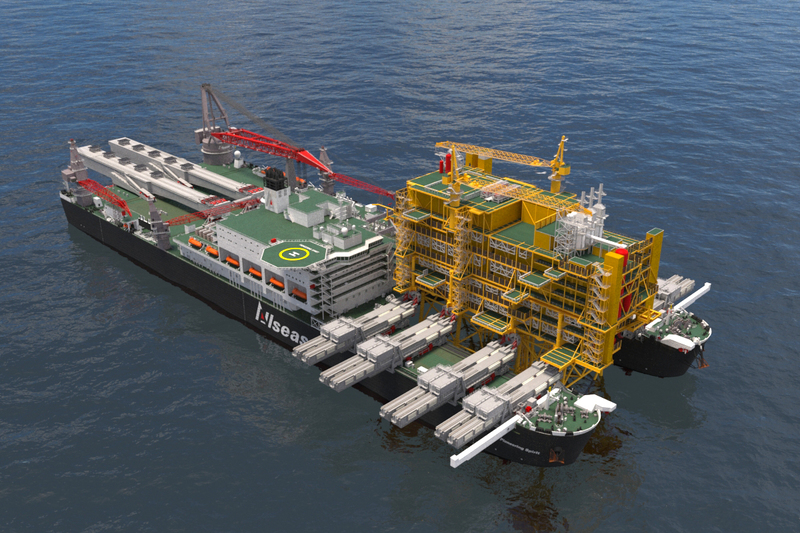 Platform installation is executed with the same equipment on the vessel: topsides are installed with the topsides lift system (TLS), jackets with the jacket lift system (JLS) or, in case of small jackets, the 5000 t tub-mounted crane. 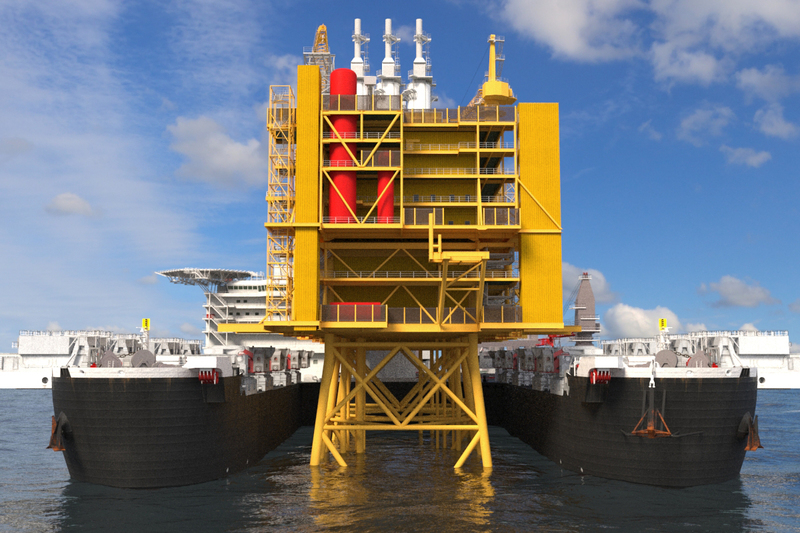 Topsides and jackets are transferred to Pioneering Spirit in sheltered water after being transported to the vessel on a cargo barge. 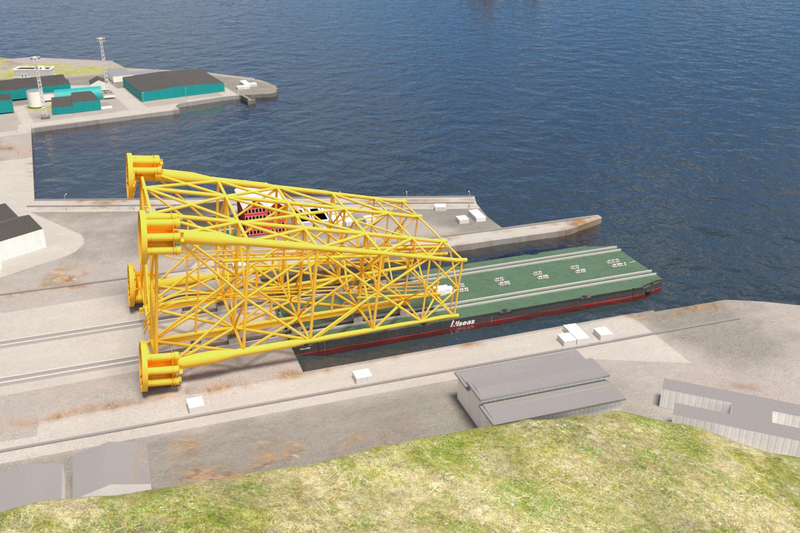 The vessel sails to the location with the topsides or jacket on board, and accurate positioning on DP takes place on location in the same way as for removals. 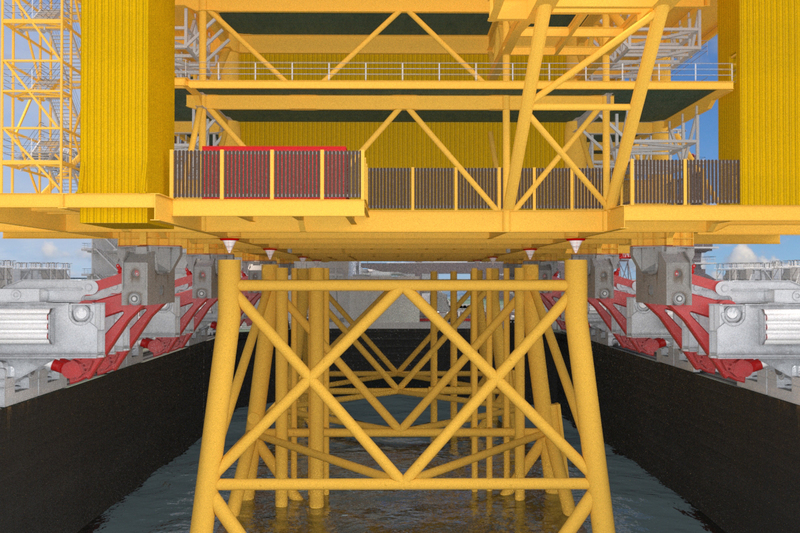 The active motion compensation system takes out all motions of the topsides relative to the base structure before lowering the topsides onto the base structure without impact. 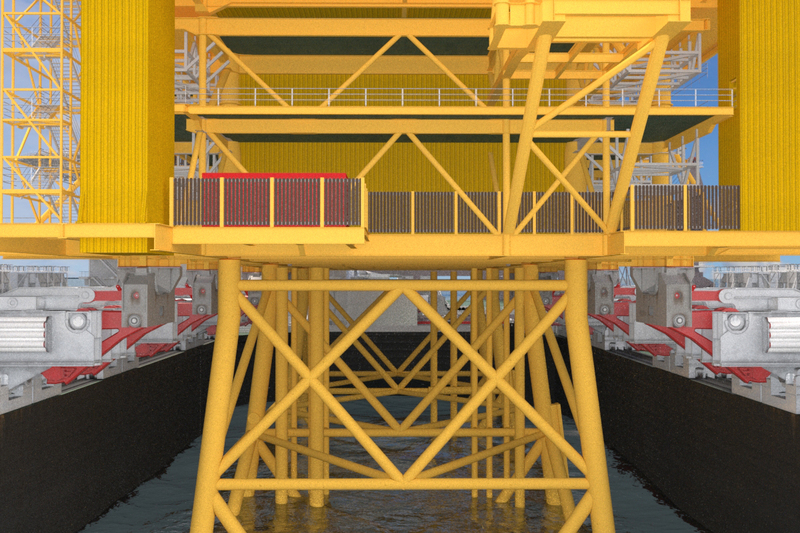 Topsides installation in a single lift, reducing the amount of structural steel and minimising offshore hook-up activities as structures can be transported offshore in very large sections; entire platform topsides, up to a weight of 48,000 t, can be installed in one piece, pre-fabricated onshore. 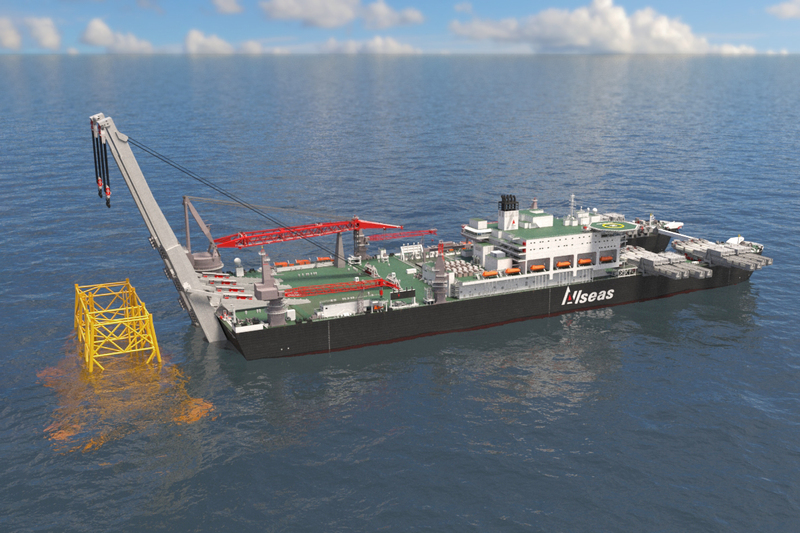 This can lead to significant field development cost savings. 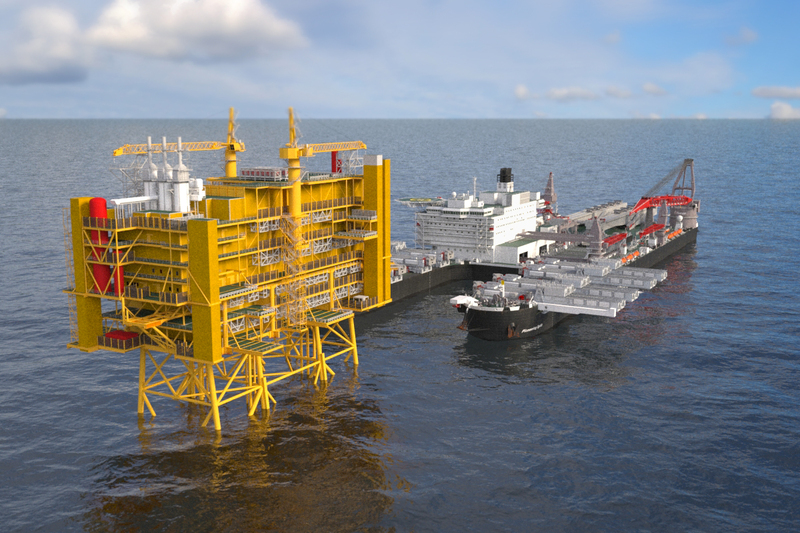 Pioneering Spirit installed three large platform topsides on Statoil's Johan Sverdrup field on the Norwegian continental shelf. 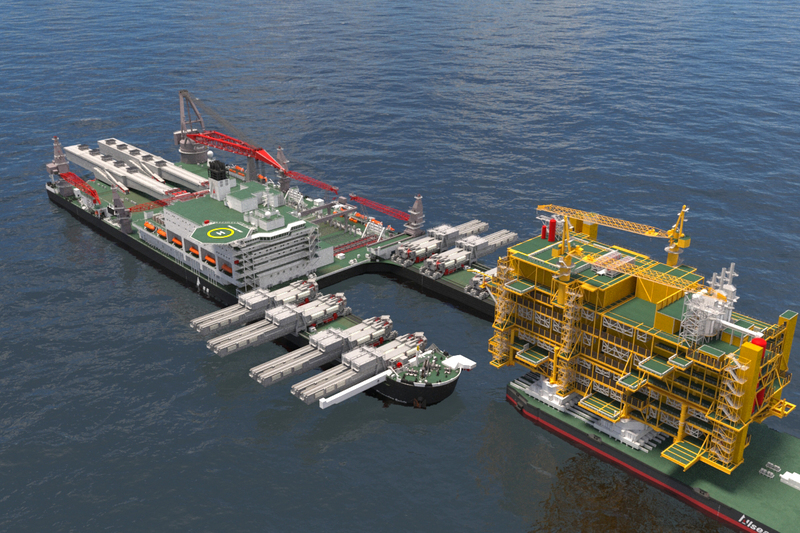 The installations started with the 22,000 t drilling platform topsides in June 2018, and the 26,000 t process platform topsides and 18,000 t living quarters platform topsides were installed in March 2019.